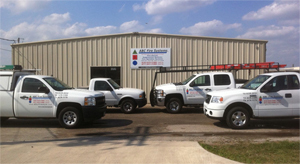 ABC Fire Systems, LLC is a licensed fire suppression company in Texas – one company for all your fire suppression needs. ABC Fire Systems specializes in new construction of fire sprinkler systems, fire alarm systems, and restaurant suppression systems. Call us to quote your fire system needs.